Paris-based brand MAMAMA is celebrating its second anniversary this week-end at Point Ephémère in Paris. The brand has invited a dozen of young creators for a giant pop-up store from Friday to Sunday animated with live paintings (by the collective Jeanspezial) an exhibition (by Sergeant Paper) and DJ Sets (SEML, Input Selector…). 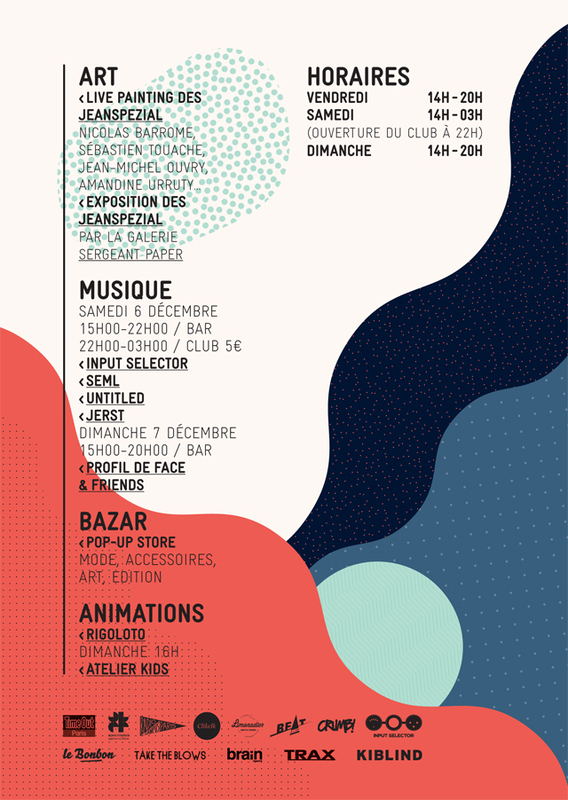 If you’re in PAris this week-end, that’s the event you cannot miss!